DURHAM, N.C. – It turns out gold isn't always the shining example of a biologically stable material that it's assumed to be, according to environmental engineers at Duke's Center for the Environmental Implications of NanoTechnology (CEINT). While the findings don't provide dire warnings about any unknown toxic effects of gold, they do provide a warning to researchers on how it is used in certain experiments. 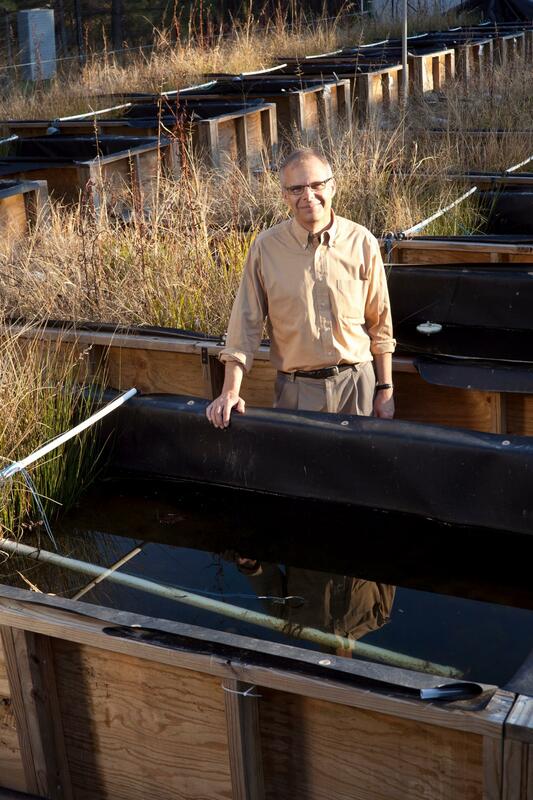 For nine months, the researchers released low doses of nitrogen, phosphorus and copper hydroxide nanoparticles into wetland mesocosms — small, manmade structures containing different plants and microorganisms meant to represent a natural environment with experimental controls. The goal was to see where the nanoparticle pesticides ended up and how they affected the plant and animal life within the mesocosm. "We were taken completely by surprise," said Mark Wiesner, the James B. Duke Professor and chair of civil and environmental engineering at Duke. "The nanoparticles that were supposed to be the most stable turned out to be the least stable of all." After further inspection, the researchers found the culprit — the microbiome growing on a common Brazilian waterweed called Egeria densa. Many bacteria secrete chemicals to essentially mine metallic nutrients from their surroundings. With their metabolism spiked by the experiment's added nutrients, the bacteria living on the E. densa were catalyzing the reaction to dissolve the gold nanoparticles. This process wouldn't pose any threat to humans or other animal species in the wild. But when researchers design experiments with the assumption that their gold nanoparticles will remain intact, the process can confound the interpretation of their results. "The assumption that gold is inert did not hold in these experiments," said Wiesner. "This is a good lesson that underscores how real, complex environments, that include for example the bacteria growing on leaves, can give very different results from experiments run in a laboratory setting that do not include these complexities."